2 sheets of Gemini Watercolor Paper #140 lb. (available for purchase at Wasem’s) quartered. A hard board (plywood or Gator Board to mount your paper on. Board should be at least 4″ bigger than the paper. An assortment of water color brushes (1″ wash brush to fine liner brush. Include a round, wedges, and flat brushes of assorted sizes). Bring what you have. Beginners start off with a set of assorted sized of Water Color Brushes. A cheap water color brush for masking (the size that comes with children’s watercolor sets). Salt shaker with salt in it. Different types of salt if you have them (table, course, canning, and rock salt). 2 deep containers for rinse water. A multiple slotted pallet with a large space in the middle for mixing, the more slots the better. Q-tips, toothpicks, a couple of nails, plastic wrap, Exacto knife. Hand-held hair dryer (VAC has some, but you will need one at home). Masking fluid (check to see that the bottle is not dried up). 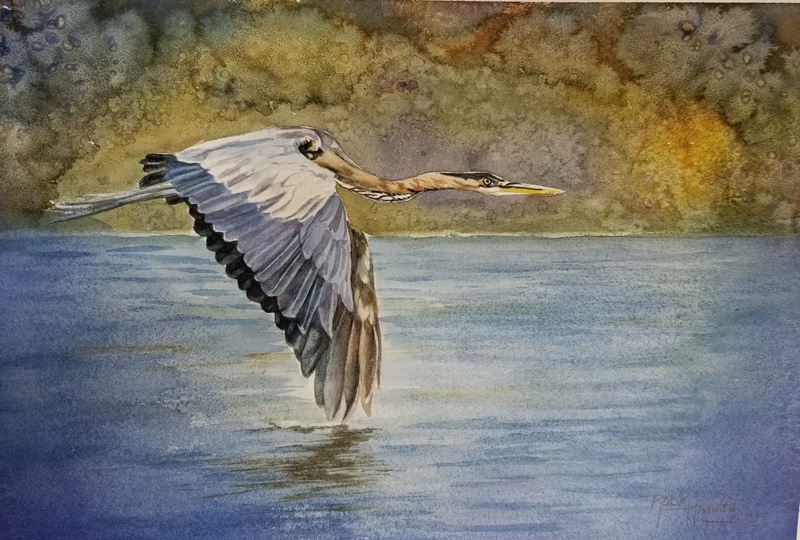 Bring a sample of your water color work if you have painted before. Sign up now to hold you spot. Class feed are due prior to class.